Grapefruits are sweet and tangy fruit hybrids that come from Barbados. The creation of the grapefruit (Citrus paradisi) was actually an accident when sweet oranges and pomelos were introduced into Barbados from Asia. When it was discovered, it was named the “forbidden fruit”, which was quite a fitting name because of its amazing effects on whoever consumes it. Half of one grapefruit is considered one serving. One grapefruit serving contains approximately 97 calories, 16 grams of sugar, and 2 grams of protein. (nutrition data) Fortunately, grapefruits have negligible amounts of saturated fat, cholesterol, and sodium, so the only thing you’ll have to watch out for is the huge amount of calories coming from the sugar. Being a citrus fruit, grapefruits are naturally great sources of Vitamin C (although not as good a source as oranges) while also containing adequate amounts of Vitamin A. Grapefruits also contain small amounts of vitamins and minerals, like niacin, thiamine, calcium, zinc, etc. Compared to your typical vitamin supplements, the amounts of vitamins and minerals in one serving of grapefruit may seem insignificant, but take note that your body more readily absorbs natural sources than artificial sources. This means that your body can actually get more vitamins and minerals from grapefruits than most cheap vitamin brands available. A lot of fad diets have come and go, but the grapefruit diet has certainly withstood the tests of time. People who tried this diet have sworn that they’ve lost as much as 10lbs within two weeks.Some types of diet like the Atkins diet actually aim to force your body to burn fat by lowering your carb intake. In the case of the grapefruit diet, however, the focus is more on making you feel full faster and stay full longer. 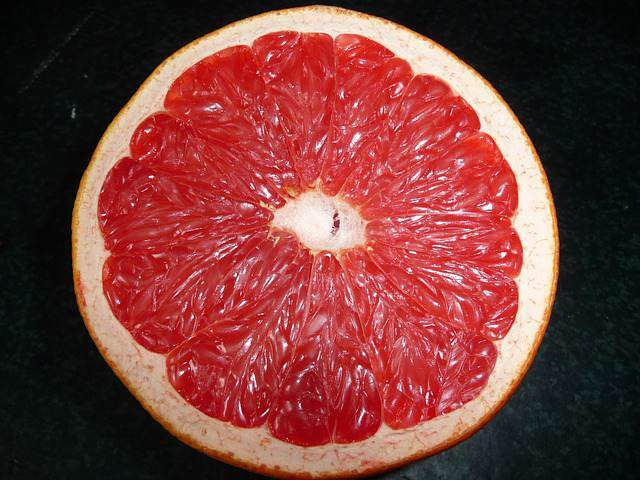 Eat or drink one serving of grapefruit before or with every meal. Eat foods that have high protein, fats, or good cholesterol. Avoid foods that are too low in calories like celery, because in tandem with grapefruits, you may lose an unhealthy amount of weight too fast and suffer from malnutrition. Avoid foods that have a lot of sugar and carbohydrates like pastry, cookies, pasta, etc. The more relaxed version of the grapefruit diet basically just tells you to eat a serving of grapefruit every meal. This approach, of course, means that you’re not going to lose as much weight as you would if you followed the stricter version of the diet. Grapefruits are usually available all year round. In choosing grapefruits to buy, find ones with bright skins and act almost like stress balls when pressed – firm and resilient. Those that are too soft often contain lots of sugar and will perish quickly. Avoid grapefruits with wrinkles on the skin as well. 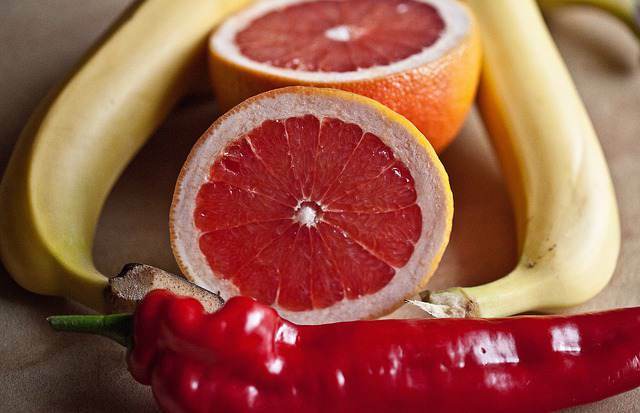 A good indicator for quality is the smell; make sure that the grapefruits have a strong, sweet aroma. If storing grapefruits, it’s best to keep them at room temperature if you’re planning to consume them in less than a week. If you need to let them stay for a few weeks (maximum of three), you may place them inside the veggie compartment of your refrigerator. Take note, however, that below 10 degrees Celsius, a chilling injury may occur and therefore make your grapefruits too soft and mushy to eat. Even if you do not intend to use the peel of grapefruits, you still have to wash grapefruits with cool water, as pesticides and other gunk may seep into the flesh when you cut into it unwashed. Like oranges, you may cut the fruit in half and scoop its sections out with a spoon or simply peel off the skin and remove the seeds. However, take note that the white inner skin of grapefruits provides additional health benefits despite its lack of flavor, so you may want to try getting used to just removing the seeds when you eat grapefruits. You can use grapefruits for fruit salads and other desserts, for refreshing juice combos, or you can eat them as they are. Take note, however, that you’ll need to include the white inner skin of the grapefruit in order to reap these fat-burning benefits, which means that processed grapefruit juices may work differently. 2.Weight loss – Scientists observed that eating grapefruits before meals seem to improve insulin resistance (study), (study). A lot of obese people tend to overeat because their bodies are no longer sensitive to insulin and therefore they need a lot more sugar to perform day-to-day activities. 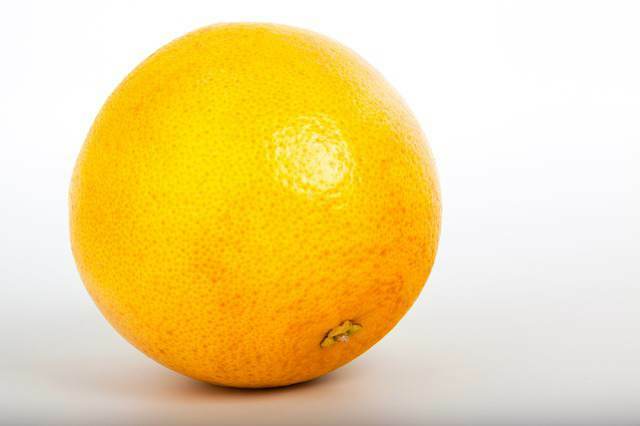 After regularly consuming grapefruits for a couple of weeks, scientists observed about 4lbs of weight loss and relatively stable insulin levels among the participants of the study. 5.Skin Health – A lot of supplements claim to have massive amounts of Vitamin C in order to give your skin a beautiful glow. 6.Dehydration Prevention – Being made up of about 91% water filled with electrolytes, grapefruits help prevent dehydration. 8.Asthma prevention – Asthmatic people reported getting fewer asthma attacks after having regularly consumed grapefruits. With a good amount of B-complex and other minerals, grapefruits can help detoxify your body without resorting to medical drugs. You may want to ask your doctor about consuming grapefruits if you’re currently taking medical drugs to be on the safe side. 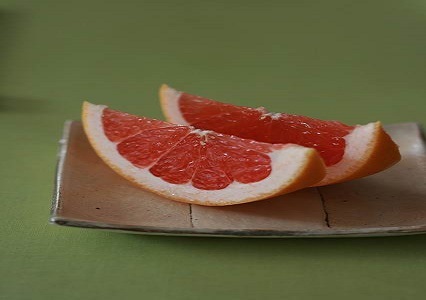 Take note that even just half a serving of grapefruit is enough to boost the levels of these drugs to toxic levels, and since grapefruits stay in your body for quite a long time you may suffer symptoms of drug overdose possibly as long as 24 hours. If you’re taking any of the drugs mentioned above, you should consider talking to your doctor about switching to a related drug that won’t be vulnerable to the boosting effects of grapefruits. Can be fatal for people with damaged kidneys – For people who have damaged kidneys, the amount of potassium grapefruits contain can be fatal, since kidneys may not be able to remove excess potassium. Acid reflux – People with gastro-esophageal reflux disease (GERD) may experience heartburns and other symptoms of acid reflux when consuming grapefruits in juice form. Mixing grapefruits with water increases their acidity, so if you’re consuming grapefruits alone, you shouldn’t have a problem. Grapefruits provide a surprising number of benefits, however, it’s important to consume a variety of healthy foods instead of concentrating on grapefruits alone. Grapefruits aren’t magic pills or fad diets; they’re super fruits that you should add to your arsenal to help keep you healthy and happy for years to come.